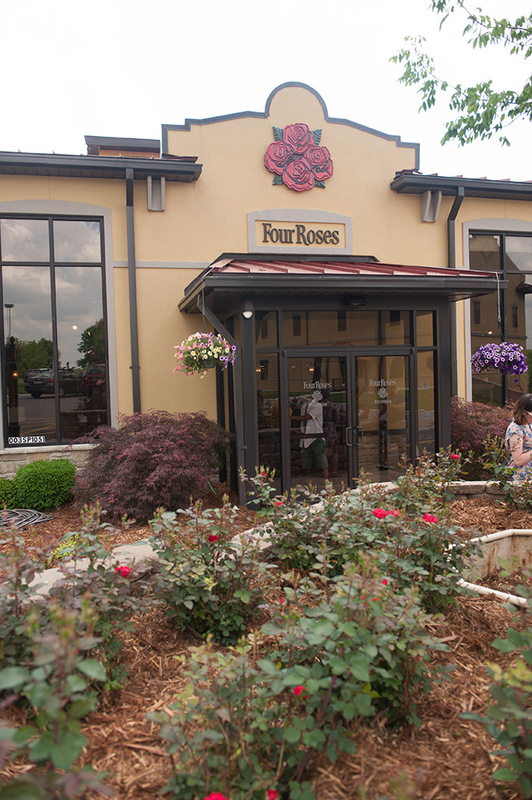 The final distillery we visited was Four Roses. I’ve been a fan of the Single Barrel for a while (and unsuccessfully tried to get my hands on the 2014 special release all year long), so this was another I was looking forward to. 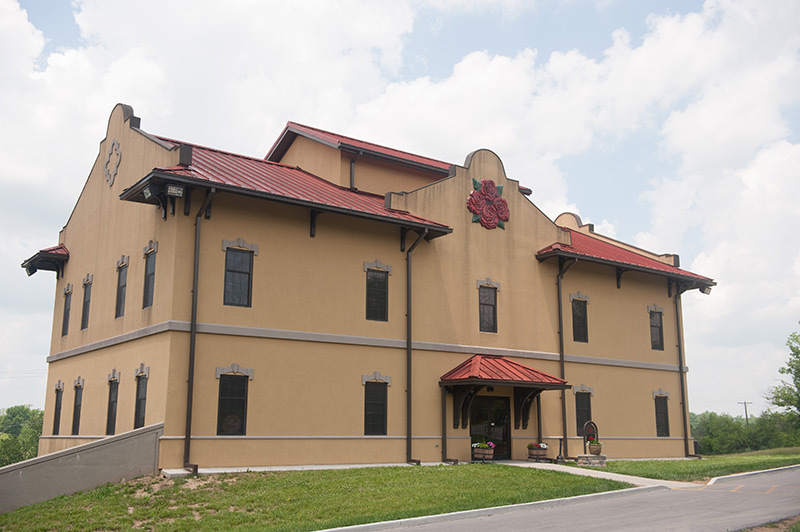 Somewhat disappointingly, Four Roses doesn’t age on-site, so we got to see the factory end with none of the sweet-smelling art portion of production. 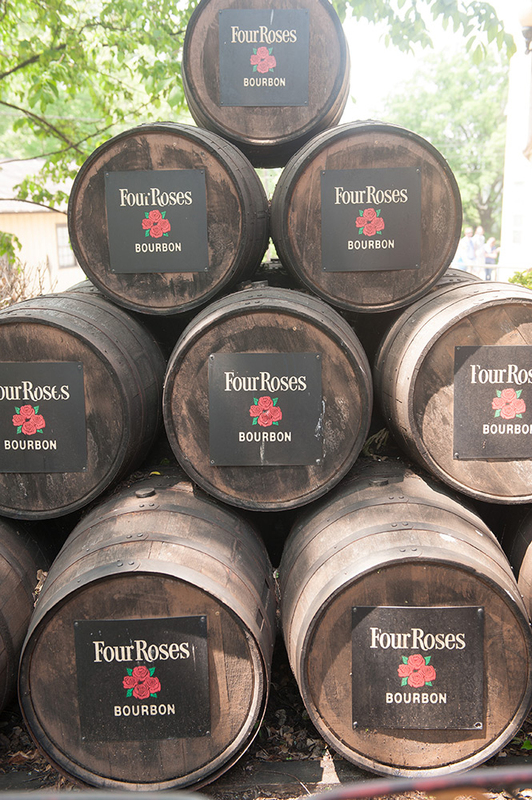 Four Roses takes a somewhat different approach to aging than others. 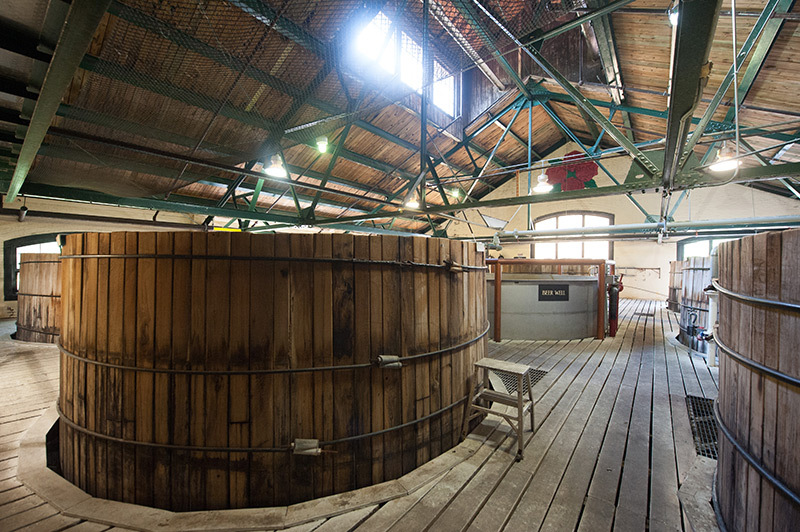 Unlike Buffalo Trace, who put the majority of their stock in where and how long the whiskey is aged, Four Roses produces 10 distinct distillates that are mixed after maturation. You can see the mix (which taste surprisingly different from one another in some cases) on the labels of the Single Barrel in the form of a 4-letter code (OESF, one of my favorites, for example). 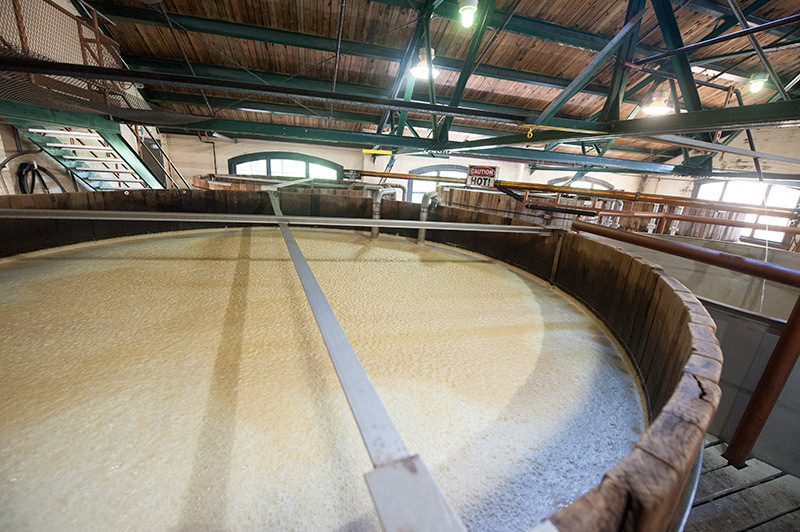 They produce 2 different mashbills: E (75% corn, 20% rye, 5% barley) and B (60% corn, 35% rye, 5% barley). The “S” indicates the blend is a straight whiskey, and the final letter stands for one of 5 yeast strains Four Roses uses. Using the codes is a nice way to ensure the bottle you buy will taste just like the one you enjoyed last time. 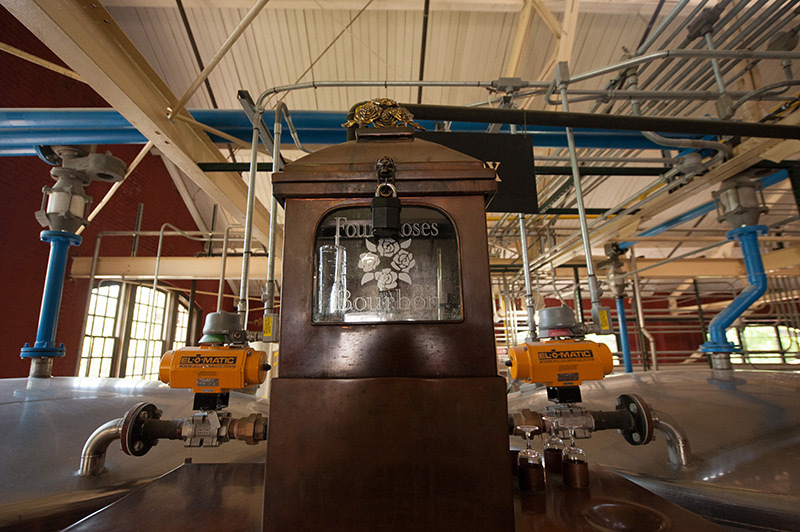 This was the first distillery we visited that was actively working while we toured through, which was interesting. While it is fun to see in action, I have to say that seeing people eat a sandwich from a control booth while monitoring levels on screens takes a little of the magic out of the whole process. 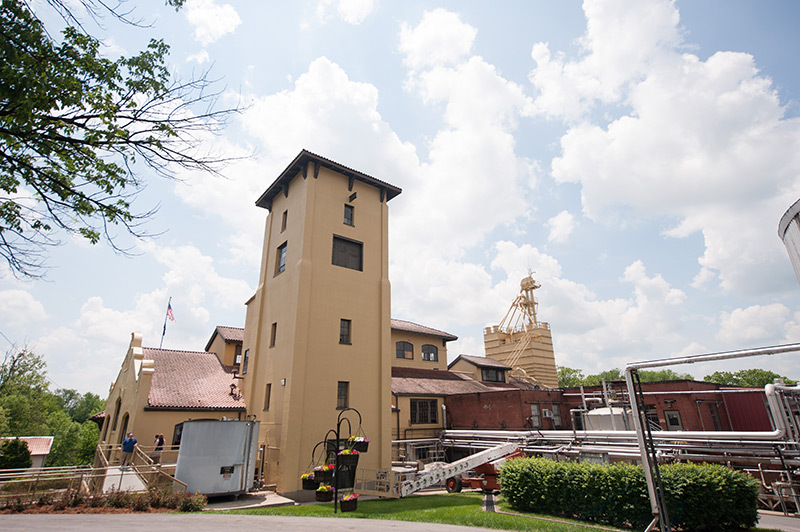 As the distillate is produced, it is shipped off in tanker trucks to the aging location to be barreled and aged in single-story rickhouses for consistency. While it may not have been the most thrilling tour we went on, we did pick up a few fun facts along the way. 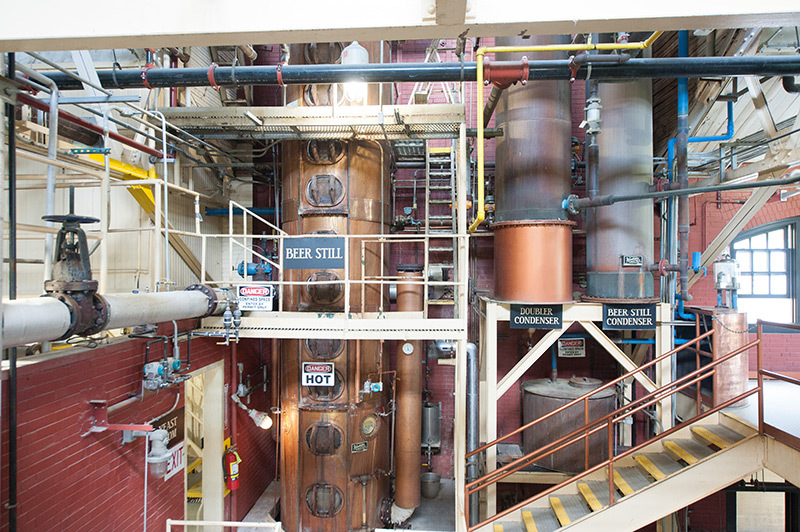 The first of which being that the distillation process produces a chemical that turns the surrounding trees black. 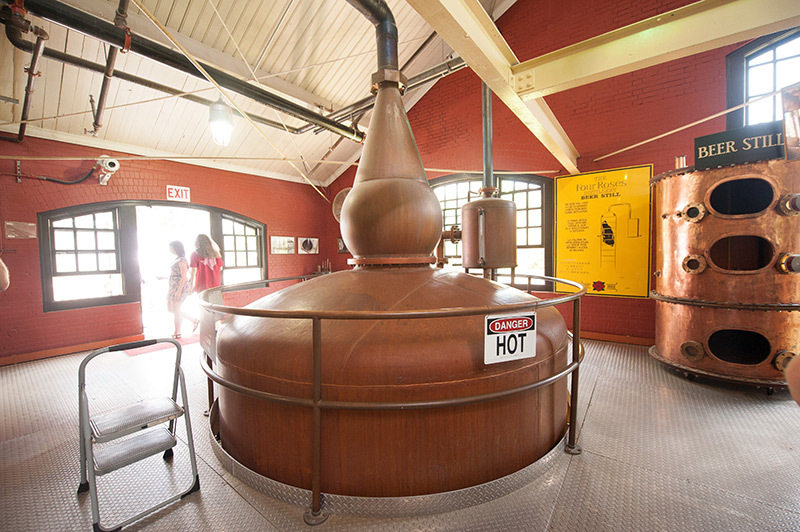 It’s harmless, but unmistakable, and was used during prohibition by agents looking for hidden stills. The other interesting fact that I didn’t know beforehand is that Bulleit, everyone’s favorite standby, doesn’t actually exist. For all the marketing and back-story, all their bourbon is Four Roses bourbon, and the rye comes from KDI in Indiana. purchased in bulk and bottled as their own. 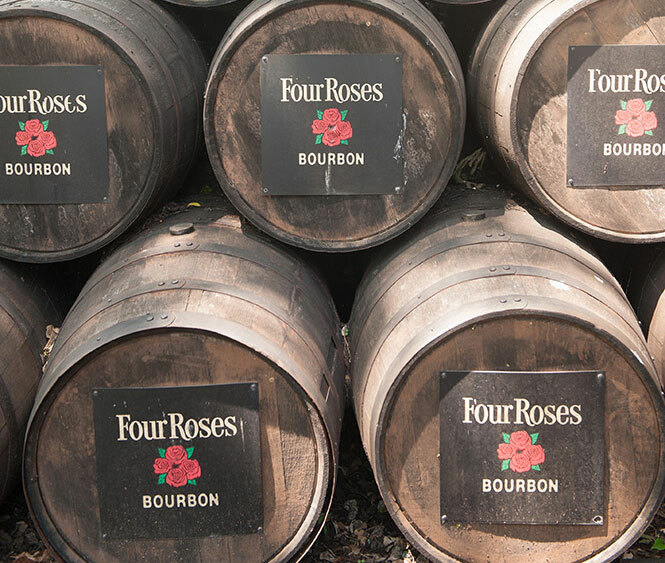 With the looming bourbon shortage, it is likely that Four Roses will cease bulk sales in order to keep their limited supply to themselves. With the mountains of money they must generate, I’m sure Bulleit will find a new source, but there are scenarios where the brand could simply vanish, or at the very least, taste completely different. So, that was our trip. I have to say, it’s great to see where the stuff we love comes from. I’d even like to take a quick trip back down in the near future. Or perhaps the next trip should be to Scotland?